The CEO of EbonyLife Media, Mo Abudu, has been recognized for her significant contribution to the media industry and awarded the 2019 Médailles d’Honneur at the MIPTV ceremony in Cannes, France, on April 8, 2019. She makes history as the first African and Nigerian recipient of this prestigious award, given to senior executives who have made their mark in the global television industry, as well as contributed to the development of the international television community. The globally renowned and multi-award winning Malawian fashion designer, Lilly Alfonso, founder of the luxury fashion brand that carries her name, has just been globally recognized for her work once again. This week, Lilly was invited to attend the 5th Edition Summer 2019 International Fashion Awards in Cairo, Egypt where she was honoured for her work and her luxury fashion brand. The annual Forbes Woman Africa Awards took place on the evening of 8 March in Durban, South Africa. One of the highlights of the event was the official recognition of Dr Divine Ndhlukula, founder of Securico in Zimbabwe, as the winner of the prestigious Businesswoman of the Year Award. 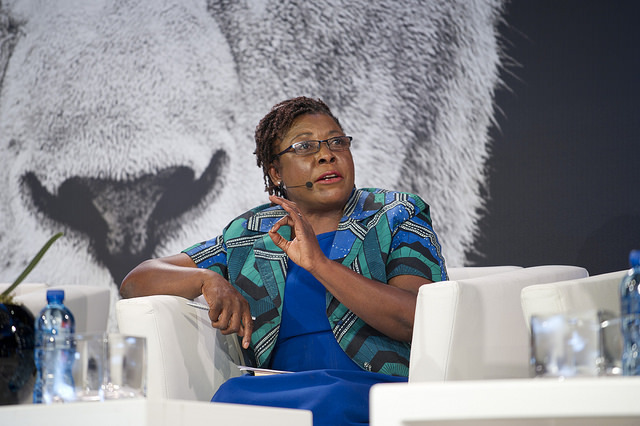 Getting global public and industry acknowledgement for your products is always rewarding, and that is certainly the case for multi-award winning entrepreneur and renowned gorilla conservationist, Dr Gladys Kalema Zikusoka. Her new social enterprise, Gorilla Conservation Coffee, has just been awarding with a top ranking in the prestigious Coffee Review Top 30 Coffees ranking in the USA. On a global scale, Nigeria has some major health challenges to contend with, not least of which is that it has one of the worst health indices in the world, currently rated 187th out of 191 WHO member countries. Research has suggested that poor healthcare delivery and a lack of good emergency medical services are major contributing factors to the high morbidity and mortality rates. But one woman entrepreneur is making great strides to change these statistics. Dr Ola Orekunrin, founder of Flying Doctors Nigeria, has built an award winning air ambulance service that is saving lives every day. Award-winning Ethiopian accessory brand, ZAAF, founded by Abai Schulze, has recently announced the exciting news of its planned opening of its new store in Washington DC in the US. At the heart of every great business is a creative solution to a problem—and those solutions sometimes change the world. To assemble TIME’s first annual list of ‘The 50 Most Genius Companies of 2018’, it asked its global network of editors and correspondents to nominate businesses that are inventing the future. Then we evaluated candidates on key factors, including originality, influence, success and ambition. The result: 50 companies that are driving progress now, and bear watching for what they do next. The Wonderbag, created by Sarah Collins, is one of those companies to make the Top 50 list. Internationally renowned interior design guru, Dorothy van’t Riet, founder and principal designer at DVR Design & Decor Consultants in South Africa, is to be celebrated with this year’s 2018 Decorex Designer Spotlight feature stand. The timing is perfect given that DVR is celebrating 30 years in the design industry this year. At Decorex, Dorothy will be creating an individual curated living space filled with beauty, style and colour using some of her favourite pieces that evoke a personal sense of joy. Decorex takes place from 8 to 12 August at the Gallagher Convention Centre in Johannesburg, South Africa. 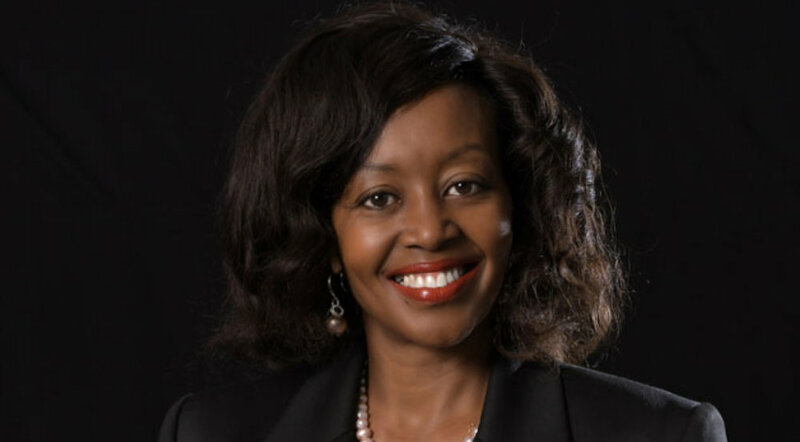 This month saw leading Kenyan woman entrepreneur, Flora Mutahi, founder and ceo of Melvin Marsh International, founder of the popular Melvin’s tea brand, taking up two influential global roles. She has been appointed to the board of the United Nations Global Compact by the UN Secretary-General Antonio Guterres where she will be using the platform to support responsible business practices in Kenya and the continent through the integration of the UN Global Compact in business. She has also stepped down from her Chairperson’s role at the Kenya Association of Manufacturers to take up a new role as Head of the Anti-Counterfeit Agency in the country. Africa's leading Indigenous lifestyle and entertainment brand marks a milestone year and looks ahead to a bright future. EbonyLife TV, Nigeria’s leading television channel proudly announced its fifth anniversary, on July 1. Launched in 2013, this is a significant achievement for the proudly ‘made in Nigeria’ company, which has become a major feature film producer as well. Divine Ndhlukula, founder of SECURICO Security Services (Zimbabwe) - speaking at the Lionesses of Africa Annual Conference 2016. This past week saw the end of an era in South Africa as one of the country’s pioneering women entrepreneurs passed away. Pam Golding, founder and Life President of the Pam Golding Property Group, was an extraordinary example of how to beat gender stereotypes and build a global business and brand from the bottom up. She died on Tuesday at her home Wittebomen in Constantia, Cape Town. She was 89 years old.